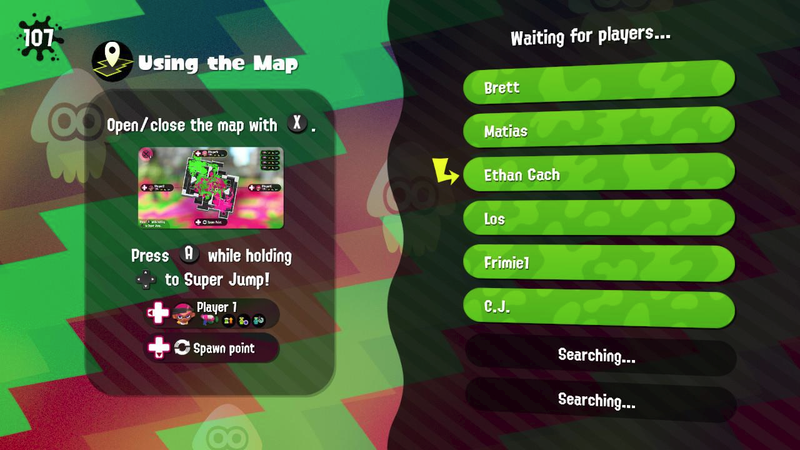 If you’re playing one of the “global testfire” demos for Splatoon 2 this weekend, don’t forget to take a few moments and jam and create some tunes while on the match-making screen. As many people have discovered on Youtube, the game has an easter egg that lets players mess with the pitch of the lobby music and also add their own warbly sounds by rolling the Joy-Con analog sticks and punching the D-pad buttons. You can find one of the more expertly crafted jam sessions posted over at Polygon. The music you can create is more of a fun distraction than anything else, like stretching Mario’s face in Super Mario 64. Then again, given humanity’s collective creativity and industriousness, it’s possible a modern day musical genius will compose something astounding before the weekend is over. If Mozart was able to write symphonies when he was eight, I’m sure someone can create a chilling remix of the Splatoon 2 menu music in the minute’s time it takes to find the next match. There are two more testfire sessions left this weekend, today at 11:00PM EDT and tomorrow at 7:00AM EDT, so if you have a Switch, there’s still time to try it out for yourself. And if the Joy-Con as Moog synthesizer isn’t really your think, there’s always Splatoon 2's sick sniper plays to check out.